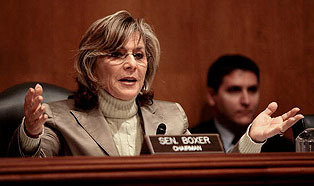 Until recently, many Democratic strategists believed that incumbent Sen. Barbara Boxer was a prohibitive favorite for reelection in November and that their party’s presumed candidate for governor, Atty. Gen. Jerry Brown, would coast to victory. Now, confidence has faded on both. I don’t want to pretend that there’s a silver lining for Democrats in Martha Coakley’s defeat on Tuesday. There isn’t. But if there were, this would be it. At least nobody’s going to be coasting from this point forward.